National Neighbourhood Watch Week is back for 2018! NNWW18 runs from Saturday 16 June to Sunday 24 June – where the national organisation will be asking members how the movement will continue to help build safer and stronger communities over the next three years and beyond. 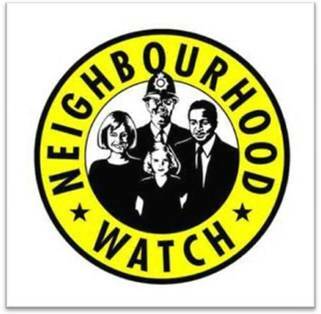 These are exciting times for Neighbourhood Watch as they look to the future of this fantastic movement and how we can make the most positive impact on communities across England and Wales over the next three years. The national scheme is hosting a series of six seminars in June and July to give members to help develop NW’s Strategy for the next three years. Members of the Board of Trustees will be attending each seminar to present and facilitate the Strategy discussion and to meet NW members. The Board know how vital it is to liaise and consult with local NW members and is committed to doing this in order to build a strong Strategy with shared commitment from all stakeholders. This will be a great opportunity to meet members of the Board, the staff team and to network with each other to see what has been happening in other areas and to have YOUR voice in the future of Neighbourhood Watch. There will also be the launch of new Crime and Vulnerability Toolkits at these seminars. Crime in England and Wales is changing and NW is providing new practical information and help for members to support the police in the detection and reduction of these crimes. The network of 2.3 million member households is a force to be reckoned with. So NW are finding more practical ways to empower members to look at some of the crimes that cause such significant harm to victims and communities. A simple example of this would be that if you regularly see different people going into a nearby house or minibuses turning up this may be a sign of Human Trafficking or if you are aware of an elderly neighbour regularly getting people knocking on their door they may well be being targeted for scams. This summer NW are going to develop a group of 100+ local NW Champions from across England and Wales at the Seminars. The Champions will then be able to share their knowledge in their local area so even more people can get the important information they need and act as a local resource to other coordinators and members. This may simply mean sharing the information contained within the toolkits, developing a local focus on one or more of the areas or running a local project if they or local coordinators want to. Anyone – member, coordinator or Association lead – with an interest in gaining information, additional knowledge and the chance to share this within their area with other members and coordinators will be the perfect participants for the seminars. Tuesday 26 June – Manchester Metropolitan University, Cavendish North Building, Cavendish Street, Manchester, M15 6BG. 9:30am registration, seminar 10:00am–4:00pm. Wednesday 27 June – Royal Hull Hotel, Ferensway, Hull, HU1 3UF, 9:30am registration, seminar 10:00am–4:00pm. ← North and East Halifax Friday Flyer 15 June – OUT NOW!